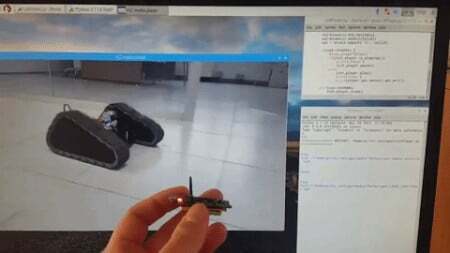 Create a Raspberry Pi powered media player controlled with Gesture. We're working on a Raspberry Pi 3 Model B-powered media player controlled with gestures using The Tactigon Board. Both devices includes a Bluetooth Low Energy module, so we decided to use them to semplify to minium the required hardware. We used Raspbian Stretch to help project implementation to people who like it. Here is a short video preview showing the software at work! We will publish the complete how to as soon as possible, including source code and links to required libraries.